Behind every great man stands a great woman. And behind that great woman stands a slave. Or so it was in the households of the Founding Fathers from Virginia where slaves worked and suffered throughout the domestic environments of the era, from Mount Vernon, Monticello, and Montpelier to the nation's capital. American icons like Martha Washington, Martha Jefferson, and Dolley Madison were all slaveholders. 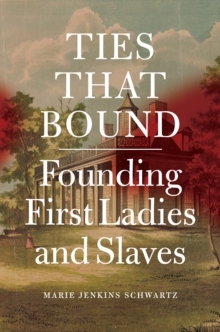 And as Marie Jenkins Schwartz uncovers in Ties That Bound, these women, as the day to day managers of their households, dealt with the realities of a slaveholding culture directly and continuously, even in the most intimate of spaces.Unlike other histories that treat the stories of the First Ladies' slaves as somehow separate from the lives of their mistresses, as if slavery should be relegated to its own sphere or chapter, Ties That Bound closely examines the relationships that developed between the First Ladies and their slaves. 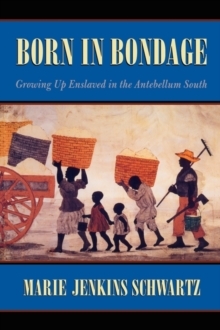 For elite women and their families, slaves were more than an agricultural workforce; instead, slavery was an entire domestic way of life that reflected and reinforced their status. In many cases slaves were more constant companions to the white women of the household than were the white men themselves, who often traveled or were at war. 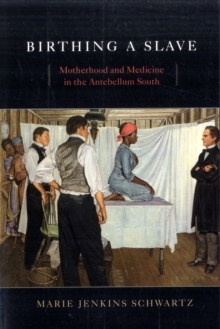 Thus, by looking closely at the complicated intimacy these women shared, Schwartz is able to reveal how they negotiated their roles, illuminating much about the lives of slaves themselves as well as class, race, and gender in early America.By detailing the prevalence and prominence of slaves in the daily lives of women who helped shape the country, Schwartz makes it clear that it is impossible to honestly tell the stories of these women while ignoring the slaves in the background. She asks us to consider anew the embedded power of slavery in the very earliest conception of American politics, society, and everyday domestic routines.